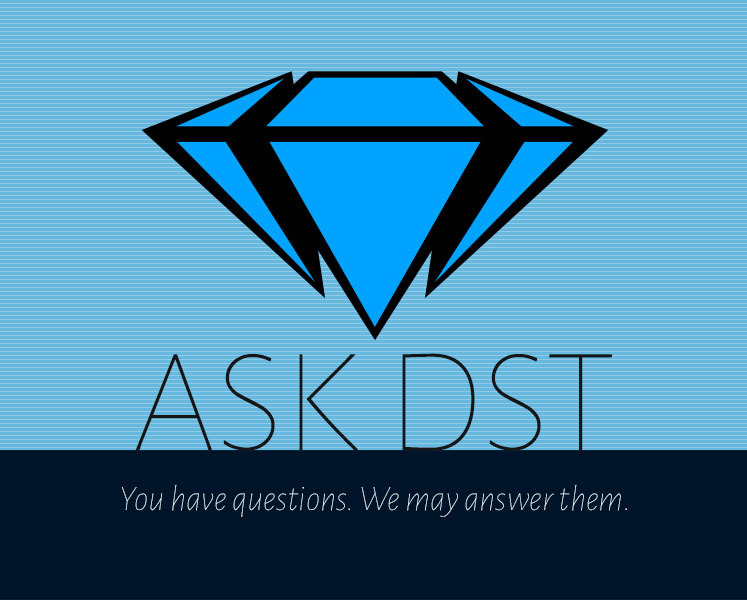 It’s a new Ask DST, where Diamond Select Toys president DSTChuck answered your burning questions about DST! This week we’re taking on Marvel, DC, Sonic the Hedgehog, Star Trek and much, much more! Red on to see if your question was answered, then submit it in the drop-down form up top, or e-mail DSTChuck! What would it take to get us MOTU figures and many others in the making. 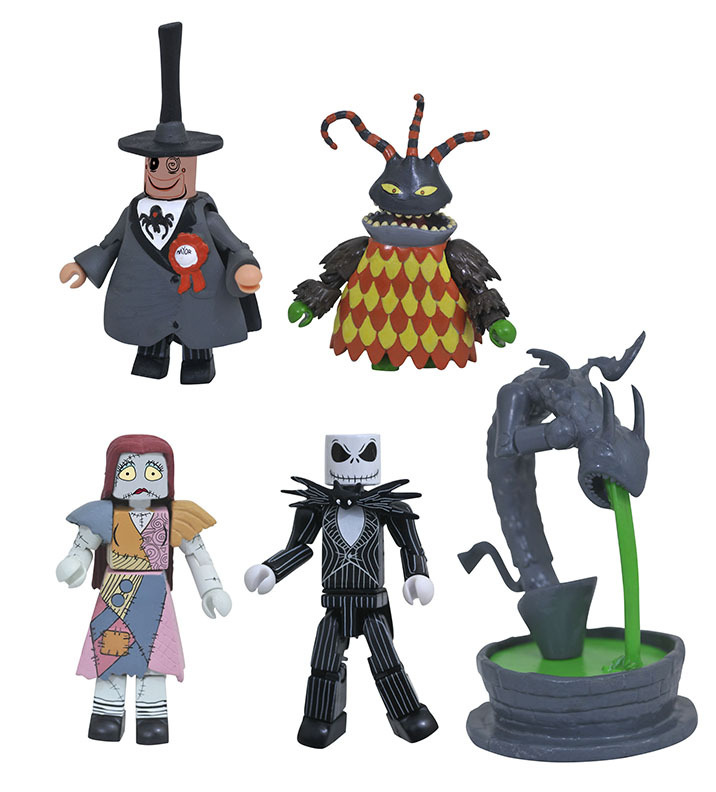 I could foresee so many waves of these MOTU characters released. Super 7 is getting into them and Funko is doing Thundercats. In 6” scale, but you already know that. Honestly, between these two companies I think Diamond Select has the most potential, especially with your Minimates line. Your fans need variety! The Indy line such as Valiant and others were spectacular. DC, also needs a new haul of characters like Plasticman and the other Lantern Corps to name a few. I can go on, and on, and on, for a successful line up of marketing ideas, of new characters; from your fantastic and affordable 14pts. 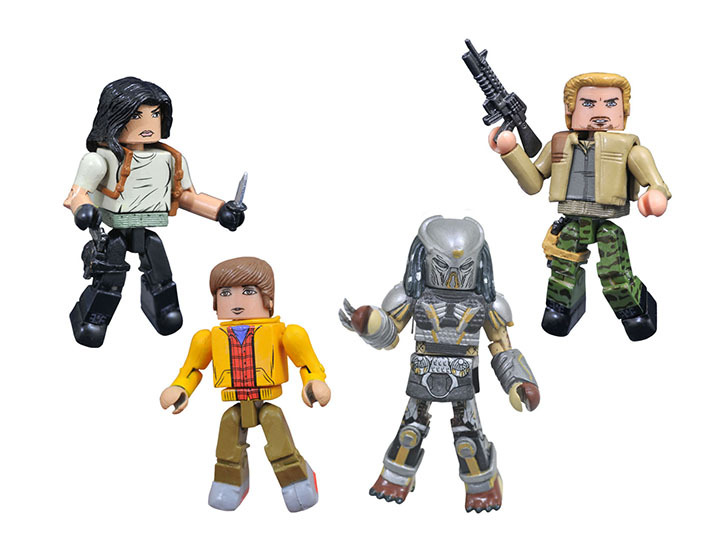 of articulation mini-action figs; which is are our beloved, Minimates. So much potential just waiting to be unleashed from your wonderful company. 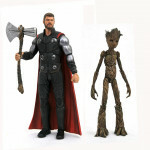 Please continue to evolve and not stay stagnant on the Marvel line up for Minimates. DSTChuck: Thank you for the kind thoughts, but I am sorry, none of those are in the plans and some are not available to us. 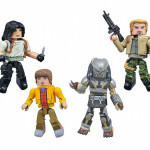 But our Minimates line offers a diverse array of licenses, including Sonic the Hedgehog, Nightmare Before Christmas, Kingdom Hearts, Predator and, soon, John Wick, Castlevania and Bruce Lee, among others. DSTChuck: I am sorry, but a new Ultron is not in the plans at this time. 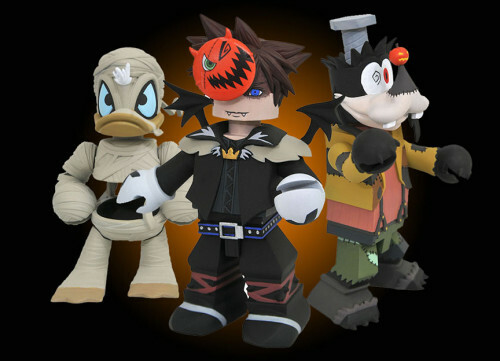 Hello, could you make Roxas from Kingdom Hearts statue for $50? I’ve been wanting a statue of Roxas, particularly duel wielding Oblivion and Oathkeeper keyblades in both hands warring Twilight Town checkered. DSTChuck: I think you mean our Gallery line, and we have several more pieces planned. If they keep selling, Roxas is near the top of our to do list. Hello, will we get more Organization 13 members and more keyblades? Are blank canvas Minimates a possibility in the future? They’d be great for people who make customs. 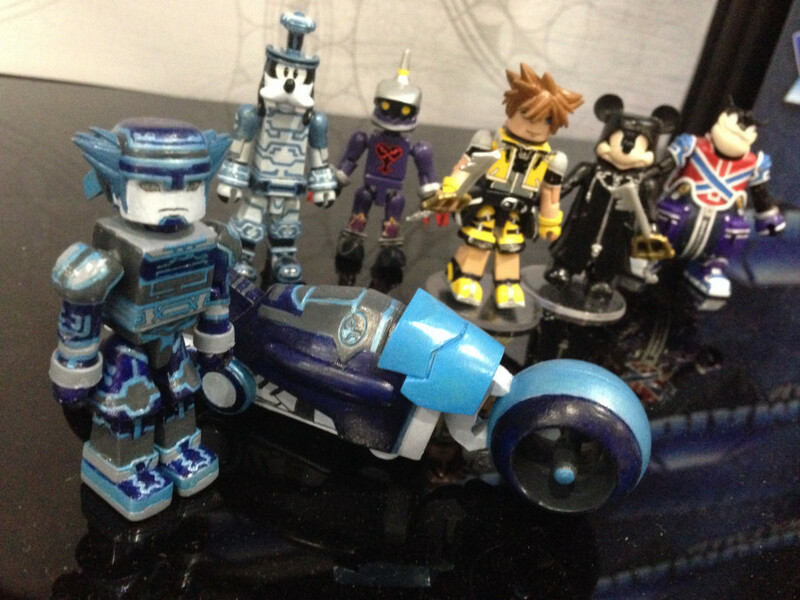 Also, is there any chance of a New 52 DC line of Minimates? 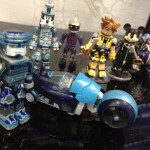 DSTChuck: Sorry, we are not able to do DC Minimates, but if that changes we’ll be ready. We have never offered fully blank MM, but we did some single colors in the past, and while we have no current plans for more, it has not been ruled out. 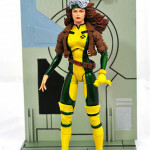 I love that you guys announced the MS Rogue figure! She was one of my top on my MS wish list so I can’t wait! Since the 80’s version of the X-men is more less complete are you moving on to 90’s Jim Lee’s era Cyclops, Archangel, Psylocke, Storm, Marvel Girl, Iceman? It would be really cool to get an updated Wolverine (brown or yellow costume, love them both, even Weapon X!) 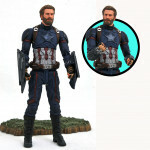 with more articulation more in line with your newest figures! I’m down for characters outside the core team/villains like Longshot, Spiral, Mojo, Omega Red, Apocalypse, Wendigo, Silver Samurai, Bishop, Forge… Even any of Alpha Flight would be great! Also any chance for a re-release of Nightcrawler? I’m a huge Spidey fan too, and with the tragic passing of Spidey’s co-creator Steve Ditko I’ve wonder how cool would it be to have a MS inspired on Ditko’s design for the original Amazing Fantasy#15? 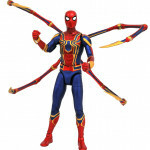 I wish you would take it into consideration, I think any true Spidey fan would love that one. 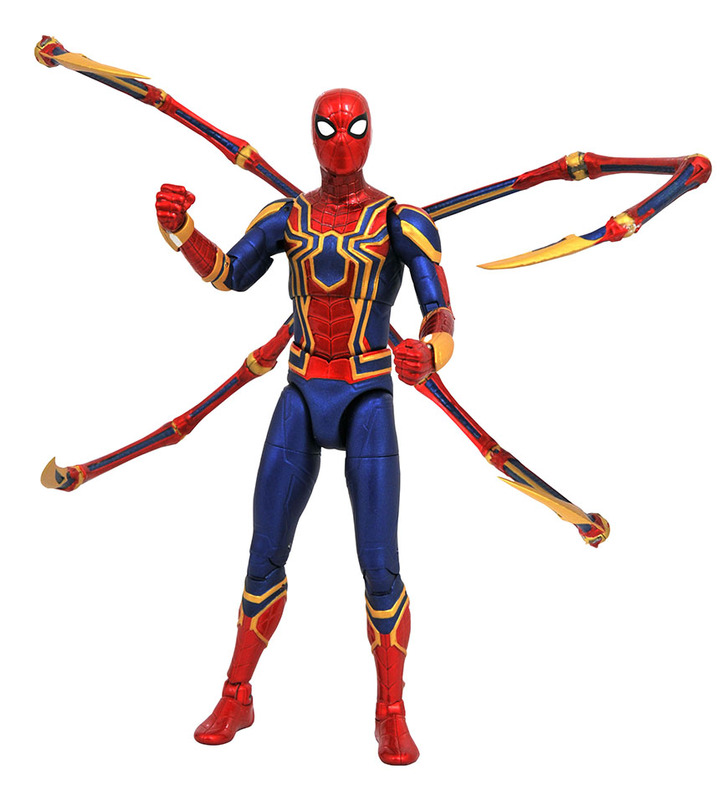 Having the terrific Spectacular Spiderman figure you did is awesome, and getting any new Spidey (also a new black suit, Ben Reilly’s suit, Scarlet Spider, etc.) is more than welcome. Thanks for your time and looking forward for future DS releases! 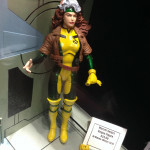 DSTChuck: We did make a mistake in the credits on Rogue, it was sculpted by Gentle Giant not Jean St Jean. I don’t know if we’re “moving on,” but X-Men is always something we consider when planning the line. Of course, I love Spidey – in fact, I did a Ditko Spidey back in the day with Toy Biz. Any Justice Society of America love in the form of DC Vinyl Statues or Vinimates will be rewarded with multiple purchases by me. 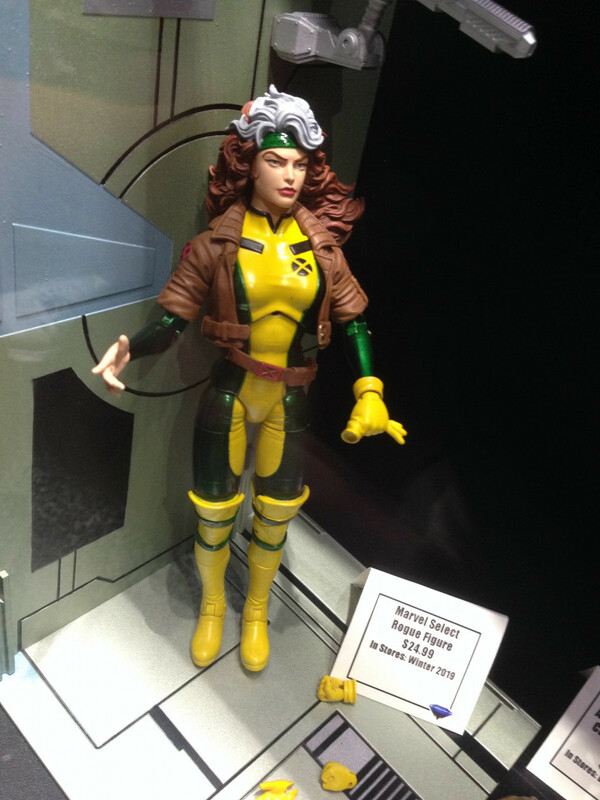 Also, please consider The Mindless Ones for a Marvel Select figure. WOW! After years of pestering I was completely caught off guard by the Enterprise C at SDCC this year. Way to go on the secret-keeping front! It looks amazing and I’d love to see some more pictures as you were so stealthy there isn’t much online showing it off. I can’t wait to be able to finish my Enterprise line-up, and my shelf, already a star of my collection, is going to look even better. How firm (barring unforeseen complications) is that 2019 release? Have you guys had production samples already, is the factory churning away? I saw it mentioned that the Reliant is being pushed back a bit (a fair trade-off for me), but was curious if you’d share the why? Is it an engineering thing? Production thing? I’m always a fan of seeing behind the curtain, and these details are interesting and a helpful way of passing the time. Thanks again for listening to the fans and completing our “ships of the line” setup. DSTChuck: Once the C is ready for sales listing, we will be sure to take pictures and eventually a video or two. We will not offer for orders or provide a firm ship date until we have a working sample from our factory. There has been some domestic development delays with the Reliant. Hey there DST. This may sound stupid, but is there any chance you guys may do another X-Men and or Fantastic Four centered wave in celebration of both of them going back to Marvel after the Disney/Fox merger? DSTChuck: I have no idea what could happen when the Disney/Fox deal is over. I was just wondering if you guys are ever going to produce star trek voyager or the DS9 space station as part of your ships line. Thanks. DSTChuck: Once we get the Reliant and C out there, we ‘ll have to see what could be next. Hello DST. 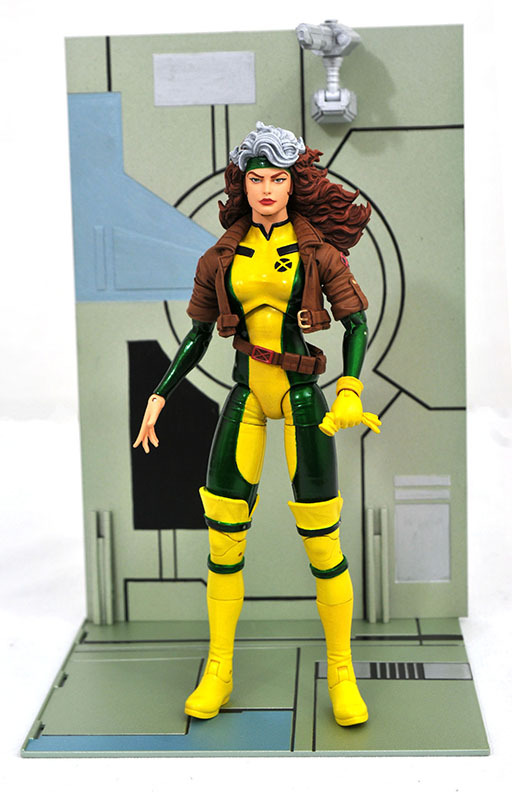 I would like to ask a few questions about your marvel select line. Will you guys ever make a Netflix Marvel Select Punisher figure? 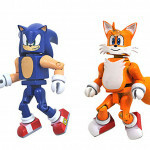 Also, I saw that you guys are making PVC statues for Sonic the Hedgehog but I would like to know when you guys will make action figures for the line. I would really love to see what you guys can do for the world’s fastest hedgehog. Will the figures have double jointed arms and legs? Will they have ankle pivot and comes with accessories? Like extra hands and maybe the chaos emeralds. Will you be making other characters besides Sonic like Knuckles, Tails, Shadow, Silver, Metal Sonic, Eggman, Amy, etc. I would really appreciate it thank you and hopefully I’ll get an answer from you guys soon. DSTChuck: Netflix Punisher for sure is one we’ve considered. We would love to do Sonic Select as well – time will tell. Select is, in general, not a super articulated line. Are you going to make a Captain Marvel figure based on the Brie Larson film? DSTChuck: We would like to, yes. 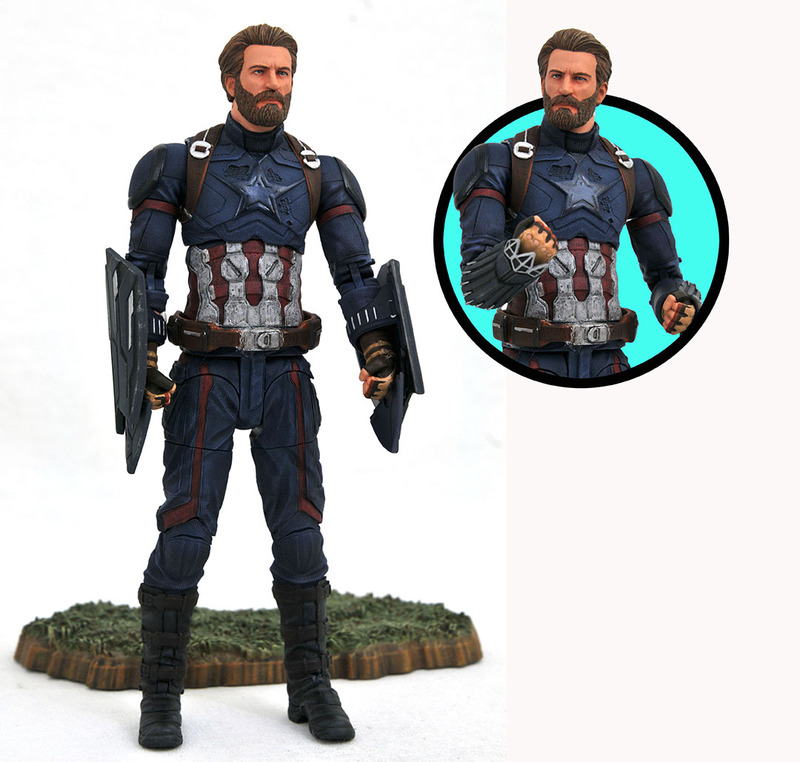 Why are there still no pictures anywhere of the Avengers Infinity War 7″ figures? DSTChuck: The paint has been undergoing rounds of revisions, but pictures have now been released and shown at a couple of shows. Are there plans to make Guardians of the Galaxy statues to match the Marvel Premier Gamora Statue? DSTChuck: Right now we have no plans for more comic GoG Premier statues, but for sure they are possible in the future. Next Up: On Sale in October: Nightmares, Dark Nights and Carnage!